The months of April and May could possibly be the busiest ever for Royal Caribbean. In fact I have never reported so much on just one cruise line before! Why is this? The Miami based cruise line started a busy April with the delivery of Ovation of the Seas. Then in May the world’s largest cruise ship was introduced and at the end of May Empress of the Seas returned to the fleet. That’s not even mentioning all the refurbishments being done on other ships in the fleet. 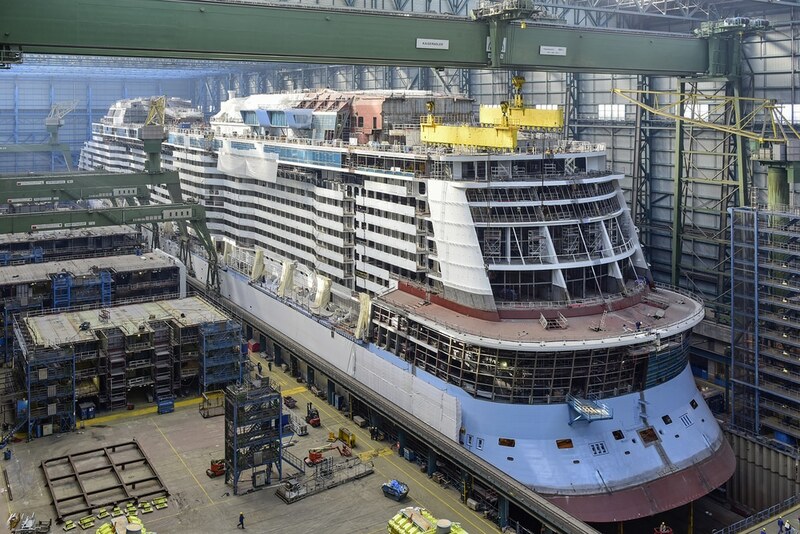 The third Quantum class ship was built by Meyer Werft in Papenburg, Germany and as the ship was coming to the completion Royal Caribbean already started teasing the new ship. before April the 167,800 gross ton ship was already making its conveyance along the Ems river from the shipyard to the North Sea. By the Time April arrived everyone was in Ovation of the Seas mode with the cruise line releasing infographics, images and updates on last sea trials and last-minute touches. The ship officially joined the fleet on April 8 during a ceremony in Bremerhaven, Germany. Ovation of the Seas became the 24th ship in the fleet but that has already been passed. I feel like it was a year ago when Ovation entered service and not months ago! Ovation of the Seas arrived at Southampton, UK for the first time to showcase to cruisers around the world. The ship also welcomed Mama and Baby Panda, two new passengers who will be cruising for sometime. In May the 4,180 passenger ship has already set off on its busy 52-Day Global Odyssey cruise where it will finally arrive at its new home port of Tianjin, China. While there the ship will be christened by Fan Bingbing On June 24, 2016. Ovation of the Seas will also spend a season sailing from Sydney, Australia from December 2016. 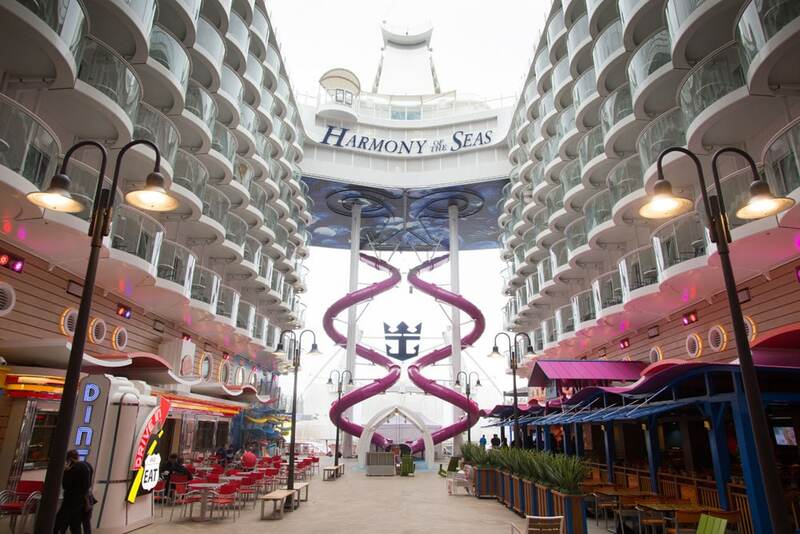 Well what can I say about this ship, if you don’t know anything about Harmony of the Seas then where have you been? Just weeks after Ovation of the Seas was delivered Harmony of the Seas arrived. The third Oasis class ship is the biggest in the world and a slightly larger tonnage than Oasis and Allure of the Seas at 227,000 gross tons. Royal Caribbean has been teasing us renderings, images and videos of the ship since it was in the STX France shipyard. 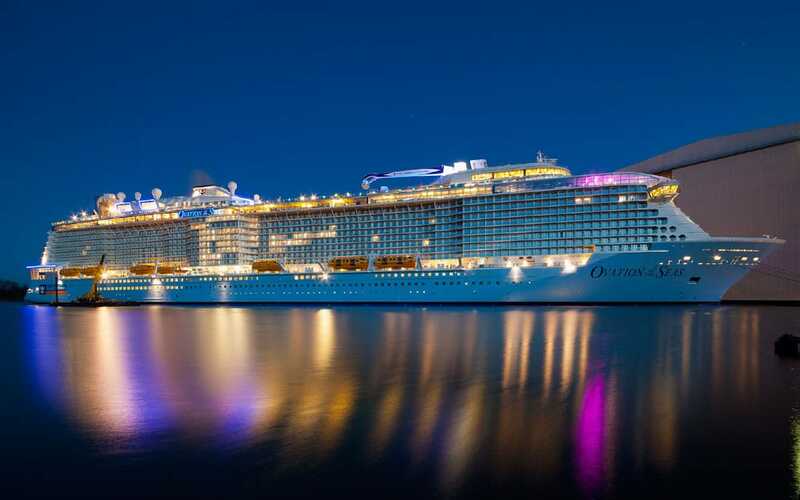 At the end of April Harmony of the Seas was completing sea trials off the French west coast, during this time the industry was still welcoming Ovation of the Seas. 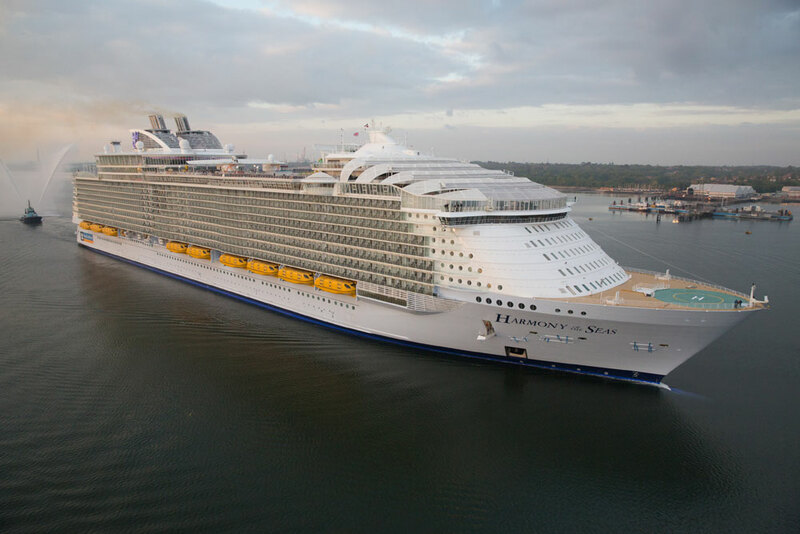 On May 12 the ship was officially delivered to Royal Caribbean at the STX shipyard in Saint Nazaire, France. Since then it’s been full speed ahead as the world was introduced to all the breathtaking features and experiences onboard. One of the biggest highlight is the 10-story high Ultimate Abyss slide. The slide twists and turns offering the ultimate thrill all the way down to the boardwalk below. Harmony of the Seas set off towards its brief new home port in Southampton, UK where the 25th ship in the fleet arrived on May 17. Since arriving at the British port there have been a ton of drone videos, regular videos, infographics, photos, reviews and more. The cruise line really has been in overdrive recently and I must congratulate them on the way they have brought their new ships to service. 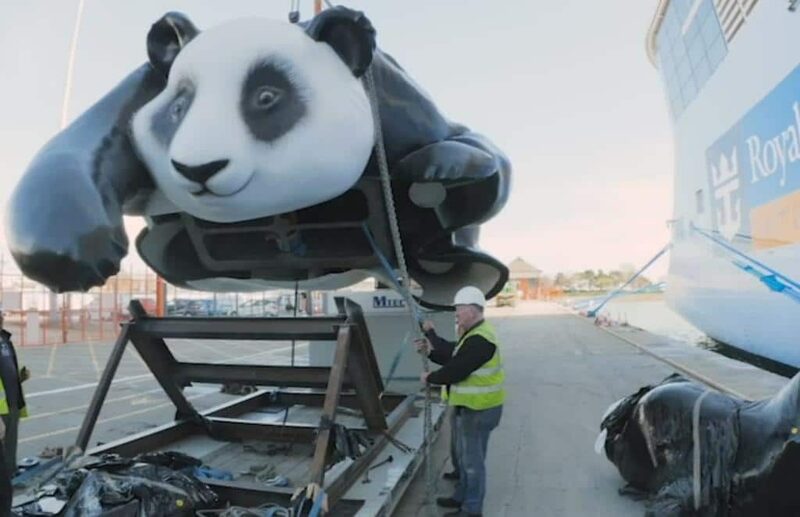 The 1,188 foot long vessel is sailing a series of short cruises from Southampton before setting off towards its new home port of Barcelona, Spain. The ship will sail a season in the Mediterranean from June and will then embark on a cruise across the Atlantic ocean to Port Everglades, Florida for Caribbean sailings. And I end with Empress of the Seas, one of the smallest in the ship and totally different from the two mentioned above. It’s nice to see the ship, which was built-in 1990 is returning to the fleet after being operated by Royal Caribbean owned Pullmantur Cruises based in Spain since 2008. Royal Caribbean spent $50 Million on renovating the ship over the past couple of months and even though there were many delays the ship has received a much-needed refresh. 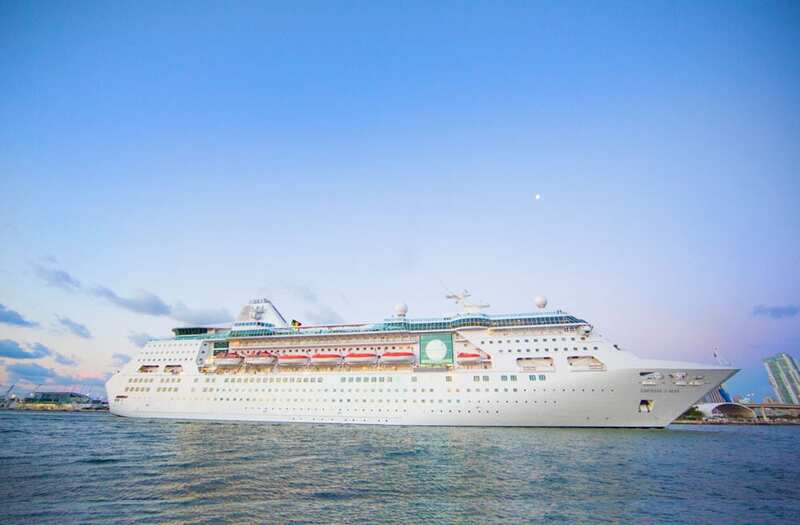 Royal Caribbean has brought this once monster of a ship back to its glory days with signature features and experiences which you would expect from Royal Caribbean. 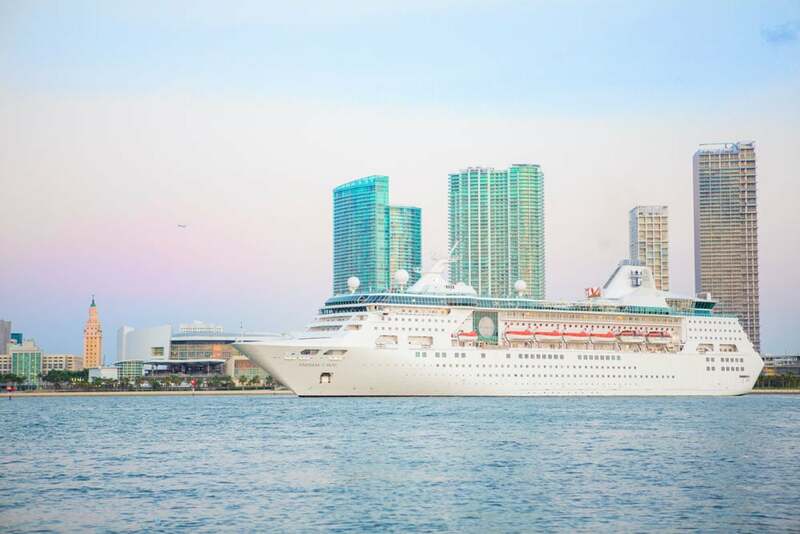 Now the 48,600 gross ton vessel has arrived and about to begin 4 and 5-Day cruises out of PortMiami it is kind of the 26th ship in the fleet and the third added ship for the cruise line in two months. have you ever seen such an expansion like this before? Maybe before my day! We now just have to wait for all those ships MSC Cruises has ordered but that’s an article for another day.